Lot 5, Tract 2 - Magnificent opportunity to CUSTOM BUILD for your families wants and needs! APPROVED PLANS AVAILABLE FOR REVIEW! 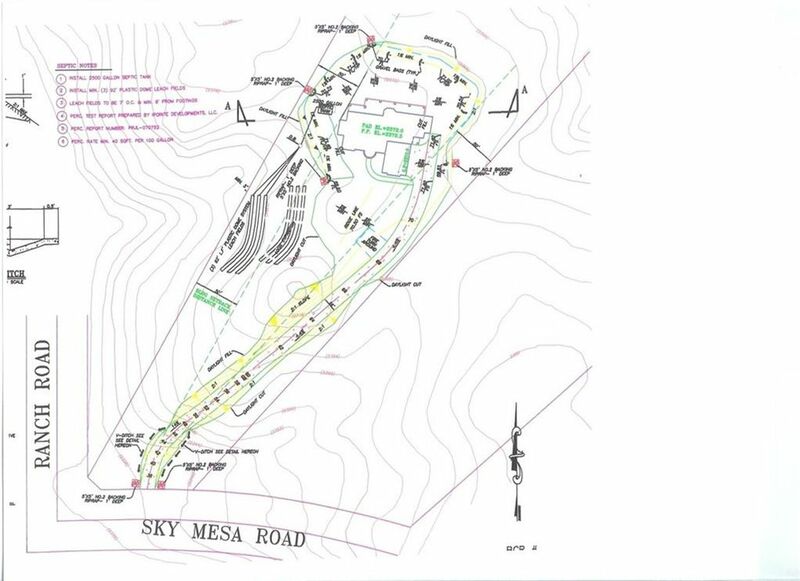 - FIVE Plus (5.24+-) UNOBSTRUCTED VIEW ACRES in THE RANCH @ SKY MESA , Southwestern Riverside County. Prestigious new Main Gate entrance off Juniper Flats Rd. just minutes from Hwy 74 and East of the I-215 Fwy. Newly paved, re-lined streets and new signage throughout this secretly hidden HOA community. 85' frontage. Rear property line is 430' West side is 836' East side is 1140'. Underground utilities in paved street. Propane & septic area. Perk approved. Grading permit submitted. EMWD district water. 2400' elevation. This great HOA has min. 2800 sq ft homes & 3+ car garages. No mobile homes. Four horses allowed. Common area w/ horse arena. High-tech camera security systems @ two gates. Private yet, close to services & easy commute to the I-215, Ramona Expressway, Hwy 74 & realigned Hwy 79. AMAZING NEW CONSTRUCTION HOME with available OPTIONS TO BUILD CUSTOM HOME by VH Design. Top quality workmanship! Home plan renderings/options available upon request. Preliminary development in process Standard home shall be 3, 000+- sq ft, 4 Bedroom, 3 bath home. with min. 3 car garage. Buyer shall submit requests on optional features - UPGRADES AVAILABLE . Final sale price shall be approved by buyer and seller. Suggested sale price shall be $700, 000-$750, 000. You must see this beautiful VIEW location. Custom main residence or second home opportunity! !